“Japanese researchers from IMAGICA GROUP Inc., OLM Digital, Inc. and Nara Institute of Science and Technology (NAIST) have jointly developed a technique for automatic colorization in anime production. While the number of animation works produced in Japan has been increasing every year, the number of animators has remained almost unchanged. 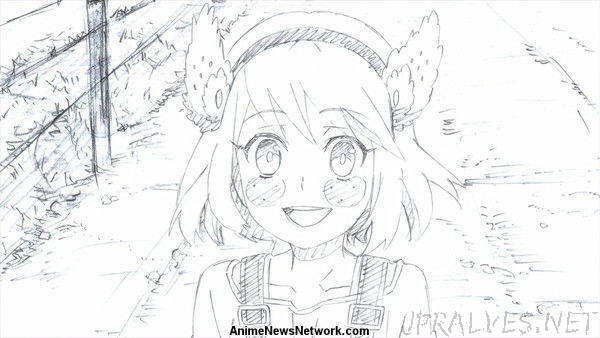 To promote efficiency and automation in anime production, the research team focused on the possibility of automating the colorization of trace images in the finishing process of anime production. By integrating the anime production technology and know-how of IMAGICA GROUP Inc. and OLM Digital, Inc. with the machine learning, computer graphics and vision technology of NAIST, the research team succeeded in developing the world’s first technique for automatic colorization of Japanese anime production. The technique is based on recent advances of deep learning approaches that are nowadays widely applied in various fields.